From discount lanes for public utility vehicles (PUVs) to rewards points for dining and shopping—Caltex combats the rising gas prices by giving motorists the most benefits per liter. 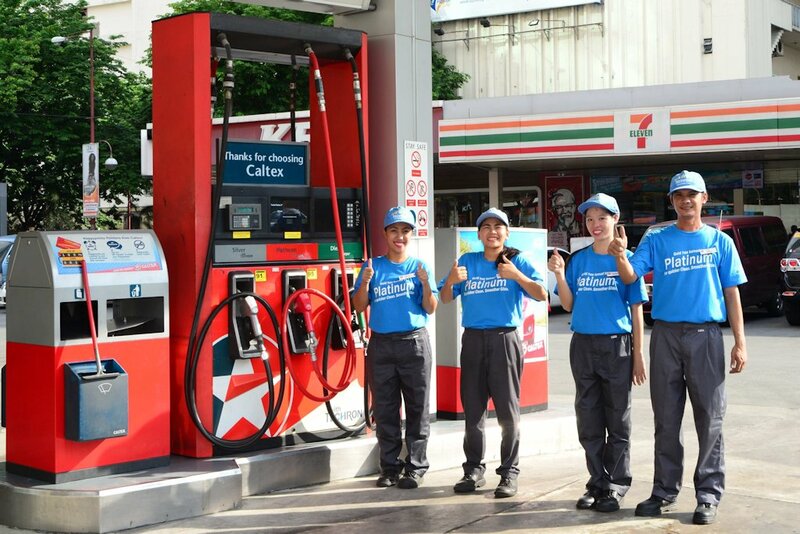 Caltex, marketed by Chevron Philippines Inc. (CPI), continues to reward the loyalty of its patrons and give back to Filipinos with year-round projects that open opportunities for disadvantaged people. Many Caltex stations across the country provide discount lanes to PUVs, offering as much as P4.00 off per liter. This helps the drivers stretch their budget to shoulder the increase in prices of oil and commodities. Meanwhile, Caltex loyalty programs with recognized brands such as HappyPlus and Robinsons Rewards Card, entitle customers with food products, loyalty points and/or fuel discounts, respectively. By using their HappyPlus card, customers who fuel up at Caltex can earn points that they can then redeem in the form of their favorite meals. The same goes with Robinsons Rewards Card members where they get rewards points each time they gas up at Caltex, enabling them to stretch their grocery, shopping, or fuel budget. Lately, Landers Superstore members can also avail of fuel discounts at co-located Caltex sites. “We understand the needs and concerns of motorists, especially when inflation is high and commodity prices are on the rise. We hope to aid them in their daily journey and continue to provide the best-value products and services in the country,” said Atty. Raissa Bautista, manager for Policy, Government and Public Affairs, CPI. Caltex continues to find ways to bring best-value products and services and address the needs of motorists, even more so in the face of current surges in world oil prices. Caltex offers a gas up and save up card specifically for the station that offers the card. You can have around 4% discount with your fuel purchase which is relatively helpful these days. It's very easy to rollback prices if they really want to help, these oil companies earn a lot at our expense. Take for example Phoenix petroleum: Php 6 goes to the company while Php 2 for the dealer itself, that's a total of Php 8 mark up per liter.